DISPLACEMENT has some exciting news to share with you all. Just last weekend, Ken headed down to Texas to show off our short film THE CALL as well as show some footage of DISPLACEMENT and meet with some potential investors. The good news is that Texas loved the footage, and so did the investors. What does that mean? We now have more funds to finish up the movie! What does that mean for you? More pictures! More news! And of course, you are closer to seeing the final product! 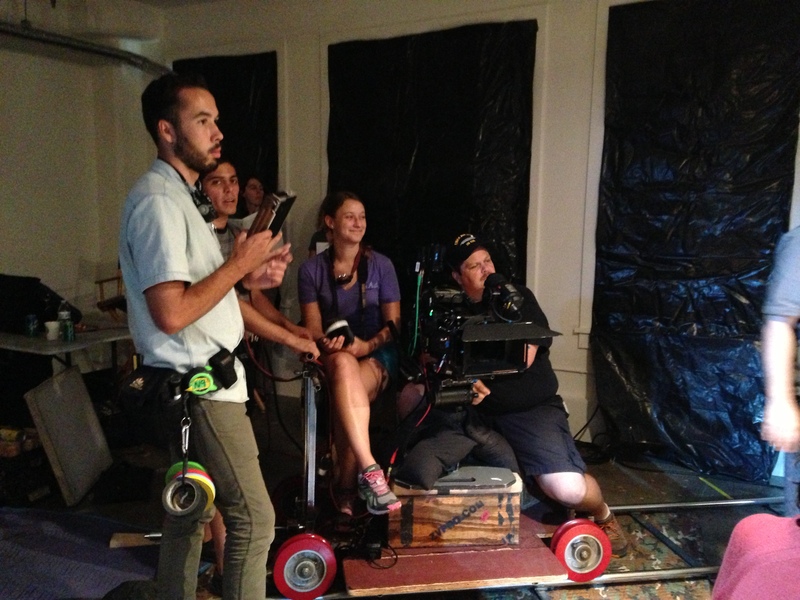 Things have been quiet here for the DISPLACEMENT crew. After three pretty big shoots, we are now taking time to edit the footage. The movie is really starting to piece together now, and the performances we have from every cast member is utterly amazing! We can’t wait to share more with you! 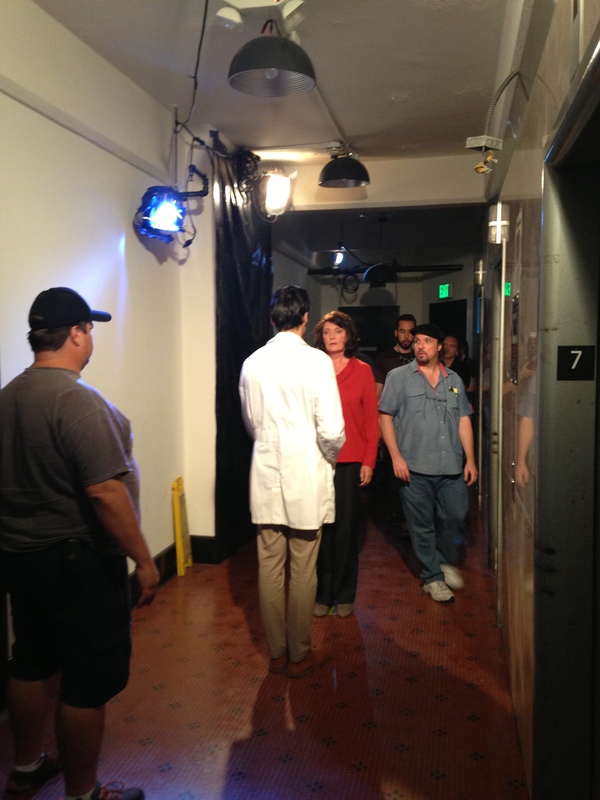 Until that time, here are some more great behind-the-scenes photos from set. 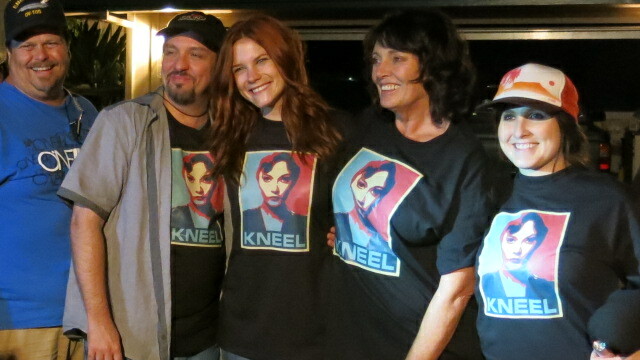 The crew hanging out with Sarah in her custom “Kneel before Ursa” tshirt. Lou hanging out with twins Jordan and Jayden on set. Sarah having fun on set. Displacement wants to send congratulations to our cast member Christopher Backus who just won a part in the new series Deliverance Creek. This is an exciting new project for Christopher, and we all can’t wait to see the show! Here is the article announcing his casting from Deadline. The big shoot we had a few weeks ago took place in a couple of different locations. For the second half of the shoot we were lucky enough to shoot near the home of Mark W. Travis. You may remember Mark from our Indiegogo video. He is a director, author, trainer, and consultant known as “the director’s director” and famous for his “Travis Technique.” See more information about our friend Mark here. Courtney and Sarah hanging out on set. Bill, Ken, Courtney, Sarah, and Dee wearing the “Kneel before Ursa” shirts we gave Sarah as a going away gift. 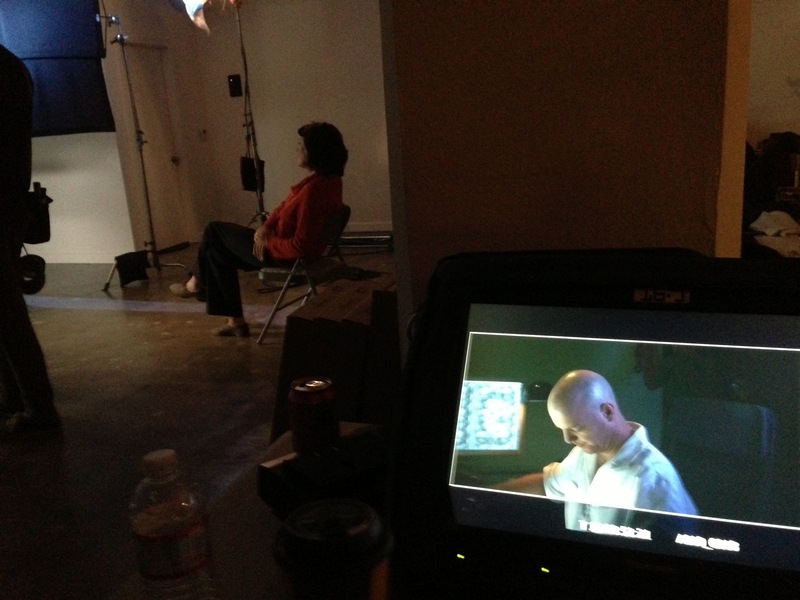 A few weeks ago we had the chance to shoot more footage back at Wiznu Labs in Downtown LA. 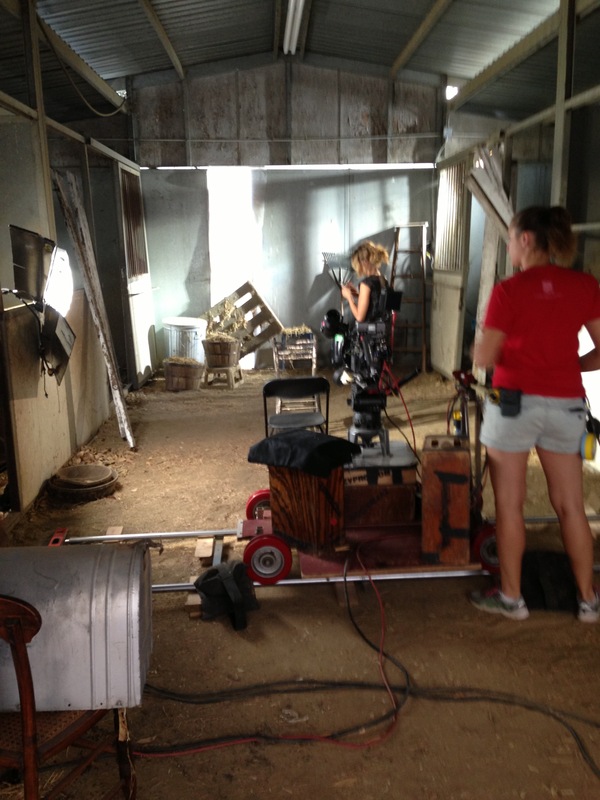 The space has been in the process of renovation, and has come a long way since our original shoot back in February. Please take a moment to learn more about this great space here.